Orient Day School, an English Medium, Co-educational institution for students from Nursery – I to Class XII (ICSE and ISC), has been a pioneer in spreading quality education in Behala and its adjacent areas since 1979. This school has a history of producing hundreds of students during the long span of three decades, most of whom have proved their mettle in various fields of works in India and abroad. A guardian, who wishes to admit a child, should obtain all necessary papers from the School Office on payment of requisite charges. A receipt for the amount paid should be obtained and retained till the admission is over. The decision of the Academic Council of the School regarding admission will be final and binding on all applicants for admission and their parents/guardians. Names of pupils selected for admission will generally be posted on the School Notice Board. The School has good infrastructure like well ventilated classroom, scientific laboratories and a beautiful campus. Students can enjoy various sports activities in playground. Behala, Kolkata - 700034, WB, India. 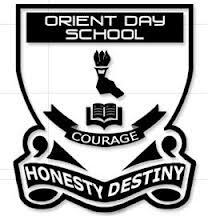 Are you Interested in Orient Day School.